(n. p.): Brazilian Tourism Authority Embratur, Ministry of Industry and Commerce, (n. d.). Ca. 1980s. Minimal wear to edges. A VG+ example.. Broadside. 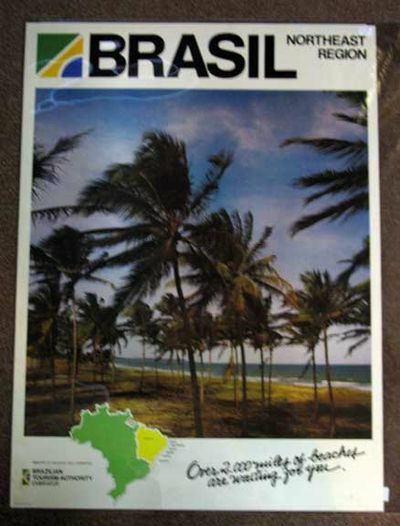 Large color photographic image of a sunny Brazilian beach , with a piece of the Brazilian flag and a superimposed map at the bottom of the image. Title printed in black to white margins. 28" x 21"